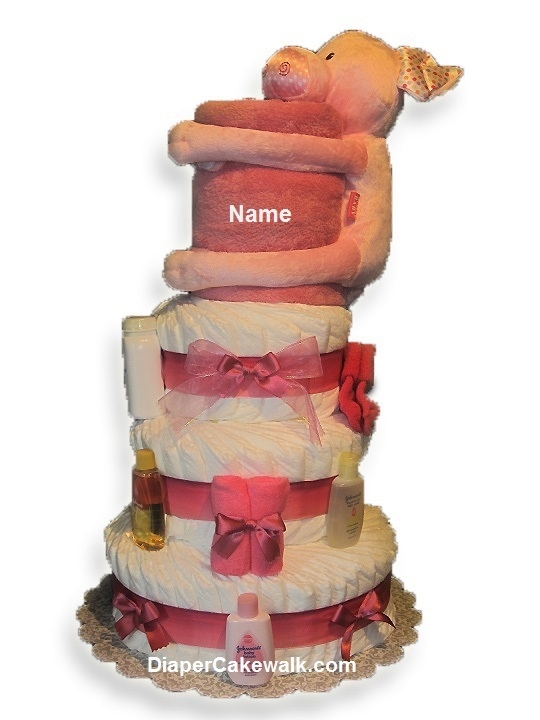 The new parents are sure to be delighted with the usefulness of this charming pink piggy and blanket diaper cake. 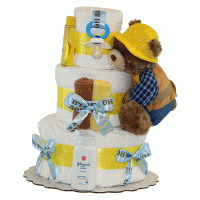 It's brimming with new baby supplies and topped off with the sweetest stuffed animal, who makes a great little pal for the new baby girl long after the diapers and supplies are gone! Best part of all; the blanket comes personalized with baby's name in white, which also makes an everlasting useful keepsake for baby and parents. 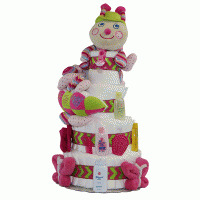 Baby Plush Animal and Blanket includes a super soft and cuddly plush animal and a comfortable fleece blanket for your baby to snuggle up with. Blanket is generously sized at 30 x 40 inches. Both plush animal and blanket are made of 100% polyester. Please allow 2 extra business days for personalization. 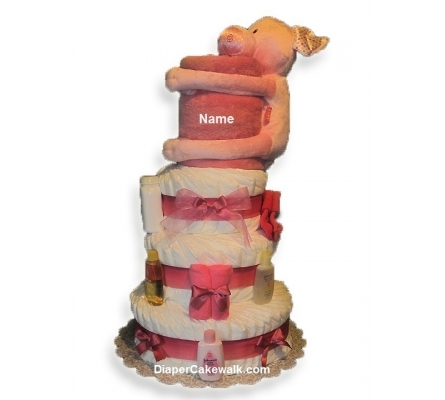 If you need this order rushed, please contact us at 845-783-1334, or info@diapercakewalk.com to see if there is rush personalization available. 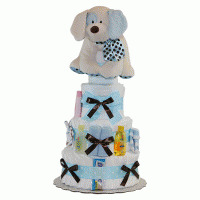 This diaper cake will arrive beautifully gift-wrapped in sheer white tulle with a coordinating bow.